This entry was tagged Dido Twite Wolves Chronicles, Joan Aiken's last book, Terry Pratchett's last book, The Kingdom after Brexit, The Shepherd's Crown, The Witch of Clatteringshaws. Bookmark the permalink. You’ve said so much of what I believe about Joan’s writing and about fantasy in general, and you’ve said it so well, Lizza. I won’t add anything superfluous to this post except to say that I shall be revisiting (for the umpteenth time!) the chronicles in the new year. It can’t come soon enough for me. Thank you, always the first, and always supportive! 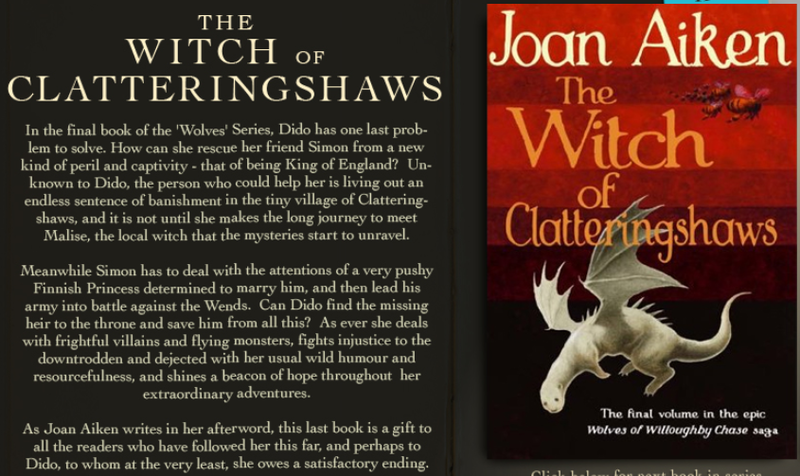 I feel Joan is at last getting the recognition she deserves – let’s hope all those Pratchett fans take a look at this book too! 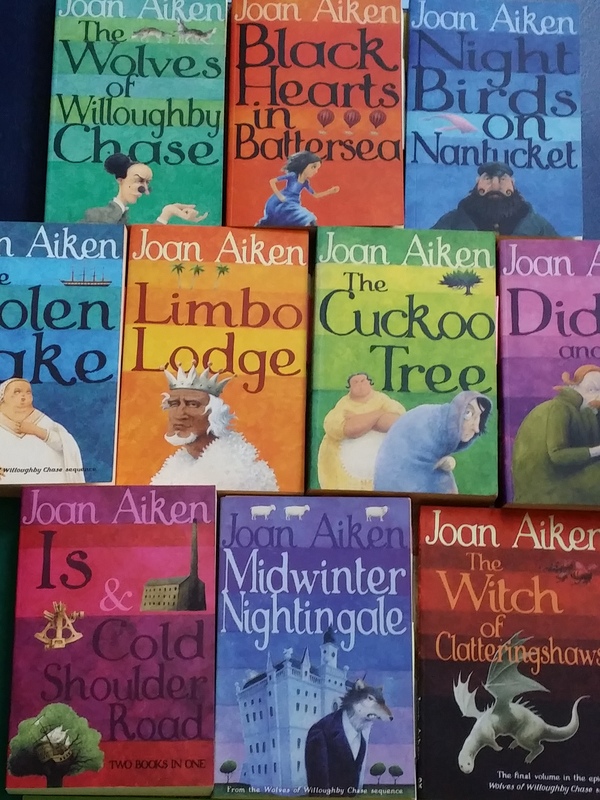 Pun is Joan’s own of course – in the words of Dido Twite, and yes Huzzah for Google! BTW, knowing that Google Doodles only last the day, I took a screenshot if you want it. The only thing is, I took it with my phone. Thank you Tony, she did put a lot of herself into her adult novels, and her own voice – also the settings and places that meant a lot to her, like the North of England where Deception is set. Those are certainly two of her more heartfelt books. I shall be embarking on a read on Pratchett’s four Tiffany Aching books, starting in the second half of this year, especially as a fellow blogger compared Tiffany to Dido Twite. Now I am wondering if Tiffany’s last name was a closet reference to the author of the Dido Twite stories? Watch this space!